A downhill ice race that could very well kill somebody! 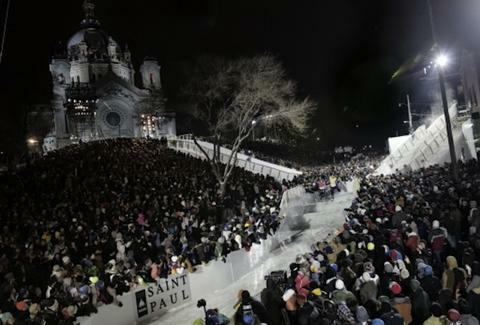 The hockey-skatin', downhill ice race circled the globe, took the summer off, and is now returning to St. Paul Saturday with an even more towering track that's "one of the most difficult in the series". Hopefully Red Bull gives wings to the skaters taking horrendous bails!